Get Our Cash and Carry Clogs at SWEA Swedish Yuletide 2016! 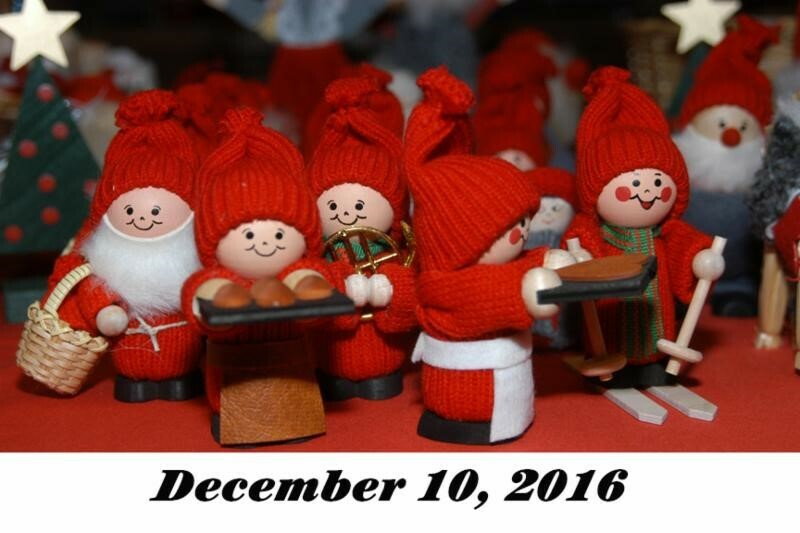 You are here: Home › Cash and Carry Clogs at SWEA Swedish Yuletide 2016! Cape Clogs will be selling cash and carry on various clog styles at the SWEA (Swedish Women’s Educational Association) Swedish Yuletide 2016 on December 10 at Cyclorama/Boston Center for the Arts. Since 1986, SWEA Boston has hosted Swedish Yuletide to celebrate Christmas and the holiday season with foods, crafts, gifts, Swedish cafés, musical entertainment, and activities for children. Swedish Yuletide offers a smorgasbord of both traditional and contemporary Sweden. Visitors can enjoy Nordic style sandwiches, Swedish meatballs and waffles in the many cafés and, of course, glögg, the hot spicy beverage of the season. Unique gifts and designs are available to view or purchase through SWEA and the many vendors, such as home accessories, clothing, jewelry, Sami crafts, books and other extraordinary gifts. Foods and baked goods are also available to bring home. The Swedish Yuletide’s Lucia procession takes place at 11.30 am and 2 pm. There will be entertainment on the stage all day long – accordionist Dan Mackowiac, the SWEA Singers, and much more!